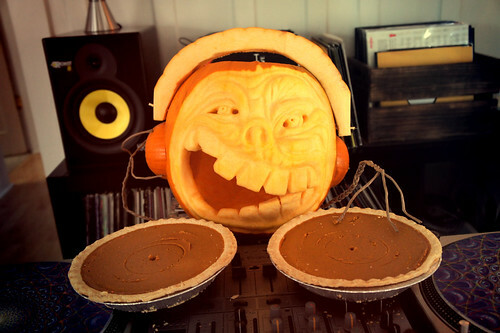 This year I wanted to do a DJ Pumpkin! I've been dj'ing for a decade, so I thought it was high time I did one. You can find my dj sets at http://www.djlara.net/ as well. Enjoy and have a safe and wonderful weekend! Happy eating and cooking too! People have been telling us to go to Aloha Ramen for so long, I'm thrilled we finally went and it's in our neighborhood! Service was very friendly and although the place is super small inside, we were seated right away because we came early. Free parking out front too! 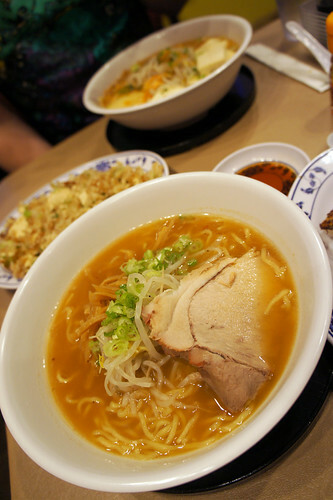 Our ramen was very tasty, not too salty, as you can add more salty or spicy tastes from their condiments on the table. I think that I prefer the taste of the broth ever-so-slightly better at Kushibar in Belltown, Seattle, but these guys are making a pretty darn good bowl of noodle soup. 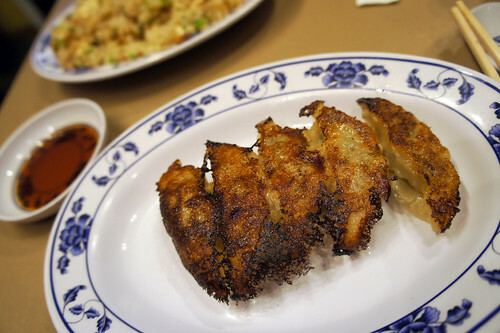 My gyoza was perfectly charred, caramelized on the bottom like it should be, I swear I could have eaten a couple of orders! 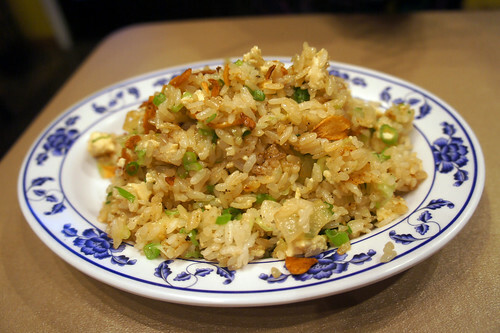 The garlic rice was very nicely done too, just the right amount. I might even forgo the soup next time and go for their katsu or curry, as it looked so delectable on the other people's table! Highly recommended, don't miss this place if you're up on Greenwood at dinnertime! Wow, a whole community cookbook store right in Fremont, Seattle, opens today! A former Microsoft employee, Lara Hamilton, went from 15 years in human resources to fulfilling a dream of hers to do something in the food world. I look forward to visiting and maybe even taking one of their small cooking classes. 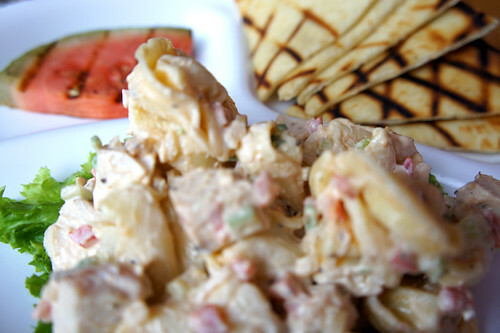 I went a little lighter with their tortellini special plate that was served with pita and grilled watermelon. Whatever tastes the watermelon picked up on the grill was super delicious too, I must say. Loved the atmosphere of this place too, with a western sort of feel and it didn't feel like you were in Seattle at all, which is one of the wonderful traits about Georgetown. I sure hope they keep that little spot the way it is and never put up any modern buildings! Anyway, if you find yourself in the Georgetown area, you gotta hit this place up. I have read some reviews that weren't so favorable for some staff, but honestly I thought they were super friendly and informative in terms of helping us make a choice for lunch. They've got a nice bar there too, so even pop in for a pint! A good day for some Clams! 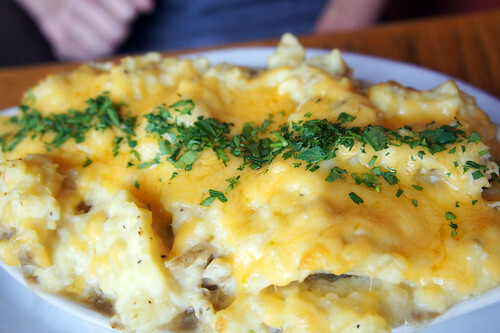 If you're ever around the Greenlake area, stop in at the Latona Pub for a pint and some delicious lunch! We always end up making an afternoon of it, with a walk around the lake, lunch, and waddling slowly home. The menu has plenty to choose from for all meat and veggie eaters! 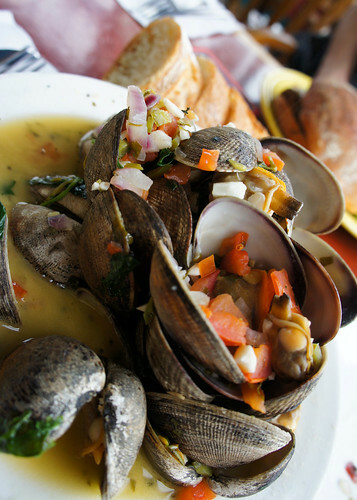 I had a glass of wine with my clams, but they rotate their beers on tap regularly with seasonal favorites. Very highly recommended!